A bird was apparently stuck on the metro tracks. The train was halted when it saw a bird lying on the track at Kalindi Kunj metro station. 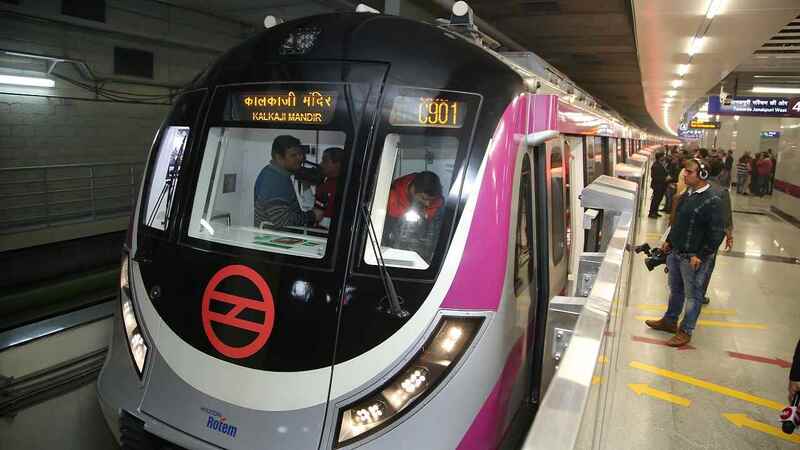 Delhi: Services on the Magenta Line of Delhi Metro were temporarily hit.A bird was apparently stuck on the metro tracks. The train was halted when it saw a bird lying on the track at Kalindi Kunj metro station. The information came from a Wildlife Conservation NGO. Services were stopped to rescue the bird safely. The bird collapsed on the tracks. Delhi Metro Rail Corporation (DMRC) informed the NGO and altered them about the bird. One of the train operators from Magenta Line saw the bird lying on the tracks. It was struggling to fly and has to be rescued. The metro train was stopped to save the bird as the operator felt the train would run over it and kill it. Once informed, a team of two rescuers reached on the spot with necessary equipment. As per the NGO the bird was shifted to a transport container and rushed to a recovery facility. The Okhla Bird Sanctuary, a famous spot in Delhi is home to over 320 residents and migratory bird species. It also has many other wildlife species.